so auch unsere Form der Informationsversendung. in dem wir von Zeit zu Zeit mit Themen rund um enecco OUTDOORS berichten. Habt ihr Themen, die zu uns passen (z.B. Locations/ Workshops/ Beind the scenes)? Wir freuen uns über Informationen und Bildmaterial, worüber wir dann gerne berichten. We will have a new way to let you know about our news. 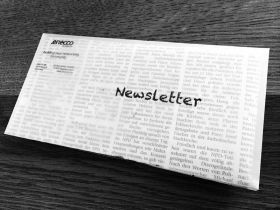 As you may have noticed, we are having a blog, where you can get information of enecco OUTDOORS related topics. Now we will sent out this content via mail from time to time to keep you posted. Are you having stories that fit to us, like locations, workshops or behind the scenes? We would be glad to receive your information and images to report about it!